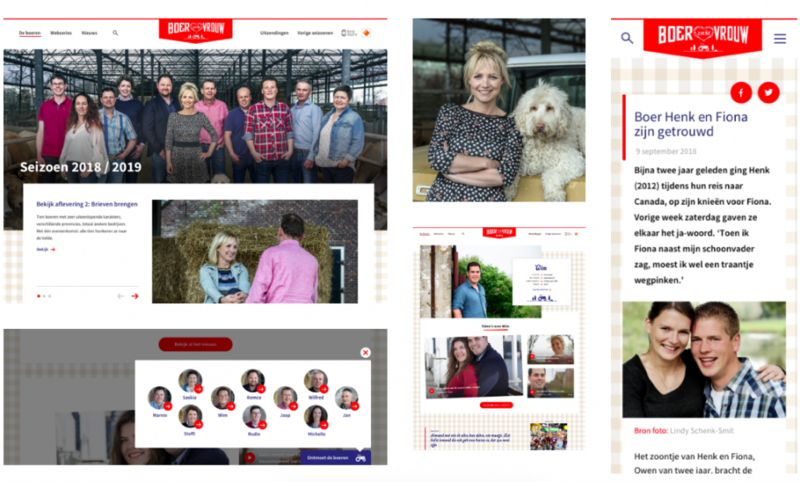 Boer Zoekt Vrouw is one of the most popular tv-shows in the Netherlands with millions of viewers every week. The online experience takes over when the show has been broadcasted. Extra storylines, extra videos, behind the scenes material, ten years of material can be found in the database. The website was outdated and we experienced some security hacks with lead to leaked information about the candidates. I took on the task to make the site more user friendly, keep visitors longer on the website and make security rock solid. We worked together with the designers of Puurpxl and the LimoenGroen agency to make the project work. You can find the website here and the Puurpxl case description here. Imitating the wing flapping of the owls, screaming back to the speaker, listening very carefully and answering the questions: we were so happy to see kids interacting with the Google Home speaker. Our plan worked out just as we hoped, kids DID want to interact with our story. We created a child’s story about three owl chicks that leave their nest for a compelling adventure. In the video above to can hear a fragment of the story. Listeners can change the storyline by answering several questions during the experience. I wrote a LinkedIn article (in Dutch) about the test that you can find right here. Challenge: how to get the viewer back to school? De Reünie is a long lasting Dutch tv-show in which classmates get back together in a classroom setting, talking about their time together and their lives after school. We wanted to give the online audience the feeling they are in that classroom and came up with a stereoscopic VR-idea. We edited the video of a specific class with a text and information panels in the room to make the experience more compelling and interactive. Filmed with the spectacular Insta Pro 360 camera. We teamed up with the famous Bellingcat researchers to find out, using public information sources, where weaponry exported from the Netherlands end up. I worked on the online storytelling and the overall digital concept. The research resulted in several articles, visualizations, video’s and even some ministers reacting to our findings. It also won second place at the prix Europa. Challenge: how to get whistleblowers more involved? We changed the concept from a quite traditional tv-website to an experience that feels more personal, more transparant and generally more user based. Every editor has his/her name and photo next attached to articles and research project. Viewers that send in their stories and experiences used to give their input by email. We changed that into a conversational, personalized form, of which the results end up in the right editor’s inbox that is a part of the cms. From that inbox the editor can follow up on the conversation with the viewer. The project was nominated for a Spin Award and a Dutch Interactive Award. Challenge: how to satisfy the fans of Eva Jinek? Dutch latenightshow host Eva Jinek has a huge amount of fans. People praise her for her warm personality, honesty and thorough interview skills. Early 2017 we launched her first website, which is built around her personality (now 500k unique visitors monthly). The curated content focusses on 4 pillars, based on Eva’s interests: Feminism, politics, USA and identity. To give the fans a way to engage with Eva, we built a Facebook messenger bot. 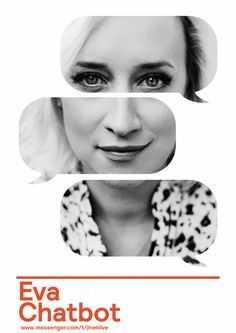 We offer her fans links to great articles, content to read within the chatbot, information on talkshow guests and the possibility to send in their own experiences on recent matters. 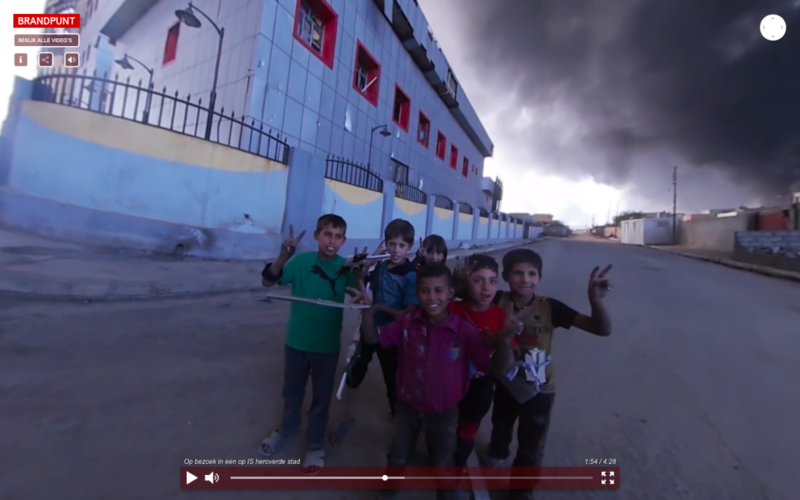 Challenge: how to make reporting about the battle against Isis more immersive? 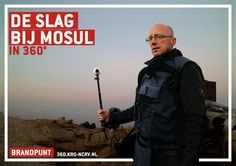 For the long lasting Dutch documentary show Brandpunt, I teamed up with Dutch war correspondent Hans Jaap Melissen to make a compelling 360 production about Mosul, Iraq. We decided to shoot in 360 video so we could make the story about the battle on ISIS more immersive, more interactive and more honest (no framing, you get the whole picture). The navigation works superfast and the images are impressive. We did a follow up project a few months later. Challenge: how to give more insight into ‘disturbed people’? 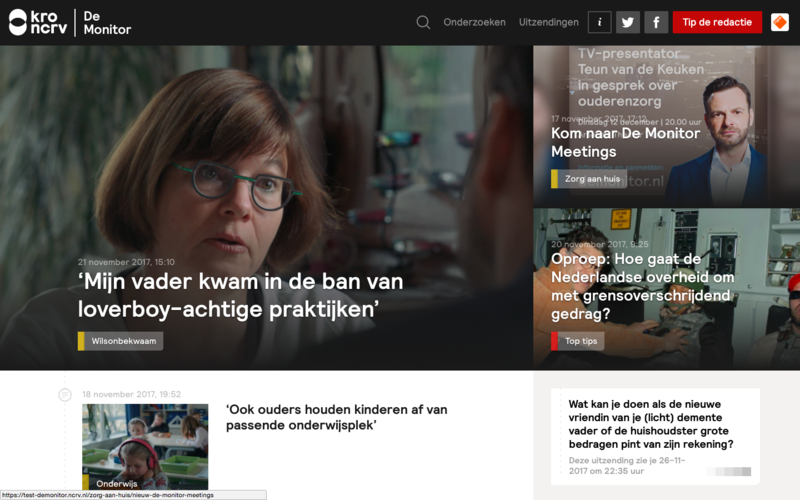 Every day you can find recent news articles about so called ‘confused people’ in The Netherlands. We wanted to give our audience a chance to step into the mind of a psychotic man. How do you end up in one of those news articles, what’s the story behind it? 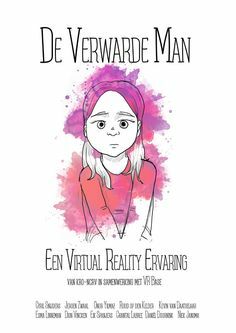 After seeing this reality based, animated and interactive VR-experience, you realize it can happen to anybody. Including yourself. To get this project done (within 6 weeks! ), I gathered two designers, two audio experts and one VR-developer. It’s available in the Oculus store and it lasts about 10 minutes. You can see Jeroen watching his own story on the photo on top of this page, sitting on the right. Challenge: how to get millennials interested in news? 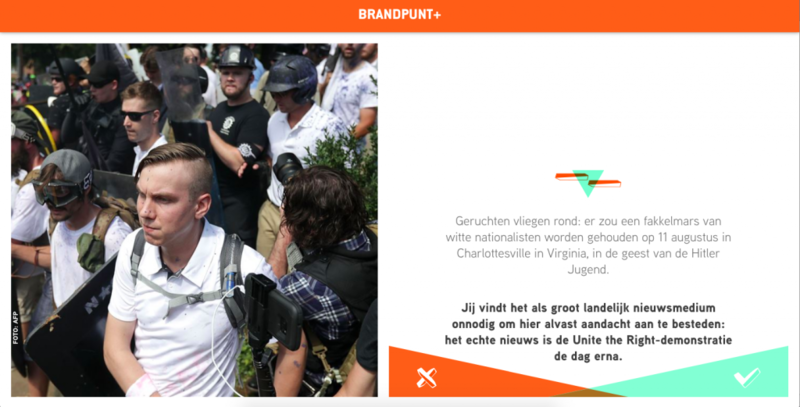 Brandpunt Plus is the digital younger sister of documentary tv show Brandpunt. It has a large following within the millennial generation and has made so called constructive journalism its core business. I developed a creative concept which gamifies the news. You step into the position of someone who has to make difficult decisions: can you handle the pressure, the dilemma’s, are you informed enough to be a good leader? After finishing the game, the player knows more about the subject and can share the results. Due to a redesign of the website and the rebranding of the show, unfortunately the project itself is not online anymore. Challenge: how to tell a compelling story in an interactive way? 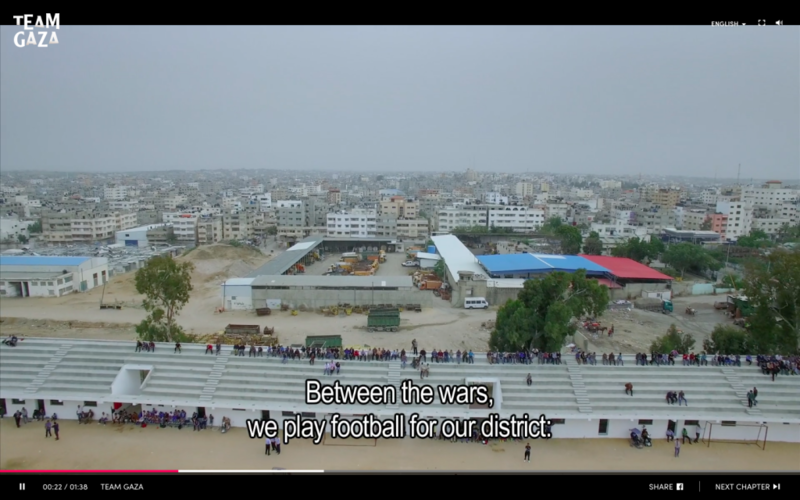 Team Gaza is an interactive documentary about a football team in Gaza which consists of colorful characters who all have their personal view on the political situation but unite on the pitch. You can switch between the stories, choose your own point of view and there’s a test attached to see with which of the main characters you have the most in common. I worked together with two great videographers who visited the Gaza Strip 4 times. DO THE TEST: WHO AM I IN GAZA? Challenge: how to connect nature experts to nature lovers? For Dutch tv and radio show Vroege Vogels, we produced an app which connects nature recreationists with nature experts. If you spot an animal or a plant, upload it to the app and the expert community will determine the species. The more right answers, the more badges you can collect. And together, they map Dutch ecology! I was also in charge of creating the new website. Challenge: how to get people to adopt a more sustainable lifestyle? With the 7 Day Green Challenge, the Dutch Foundation for Public Broadcasting (NPO) challenged everybody to live more sustainable. You could pick your challenges to lower your environmental impact in just seven days. 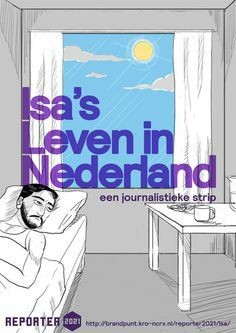 You would get handy videos in which Dutch celebrities shared their tips and tricks and see what the effect of your actions were in the long and the short run. Sadly, the app has been taken offline since the NPO decided the project had reached its goals.